Now that the Super Bowl ads have come and gone, my two favorites had to be Heinz's "Wiener Stampede" and Doritos "Ultrasound" (sorry NARAL, but it was funny). However, this post isn't about last nights ads — if you want to see the top 5, check out USA Today's list here. No, this post is really about my favorite ad campaign of all time — Budlights "Real Men Of Genius." Particularly their salute to "Mr. 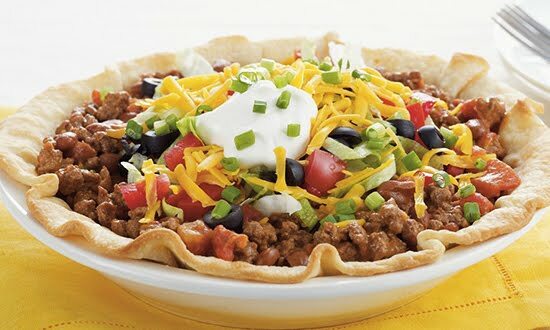 Giant Taco Salad Inventor." Not only was this campaign hilarious, but it had legs, which is really important when it comes to advertising. Now, I can go on and on about their salute to "Mr. Really Bad Toupee Wearer" or "Mr. Chinese Food Delivery Guy", but I won't. Instead, you can watch my favorite of the bunch right here in all it's SD glory. Enjoy!